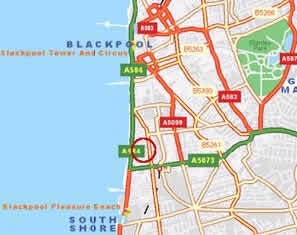 We are a short distance from the Promenade about half way between Blackpool Pleasure Beach and the Sea life Centre. Many of the most popular attractions are within reasonable walking distance. 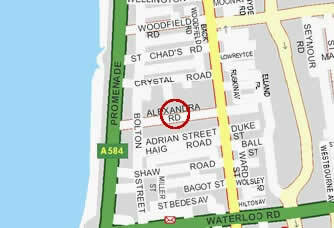 We are in the South Shore area and can be most easily reached from the Promenade - from the end of Waterloo road turn right and we are a few streets along on the left hand side. There is free car parking and locked parking is also available.